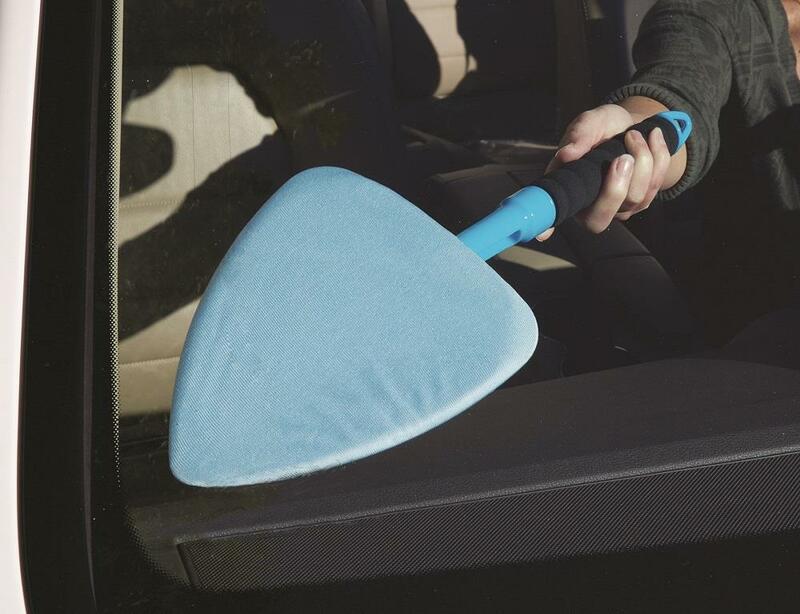 Glass Master Car Window Cleaning Kit GMU1 for hard to reach areas | California Car Cover Co. The Glass Master Window Cleaning Kit is the fastest and most effective system for making your glass sparkle. Pivoting paddle heads feature soft foam backing that conforms and contours to clean those hard to reach areas. Handle accepts any standard extension pole for cleaning large truck and RV windows. Available in a Standard Kit or our Extension Kit, which provides an additional reach of 15” inches. Both kits include 1 paddle and 2 interchangeable, reusable cleaning bonnets, and storage bag.